The 26th Annual Model Bridge Building Competition sponsored by PEGNL is a career exploration event aimed at junior high school students all across Newfoundland and Labrador. Junior high school students have an opportunity to meet people from various career paths in the engineering and geoscience industries, take part in the model bridge building competition, trivia contest and visit trade show style displays set up by engineering and geoscience companies working in NL. Students interested in engineering & geoscience careers are particularly encouraged to attend. 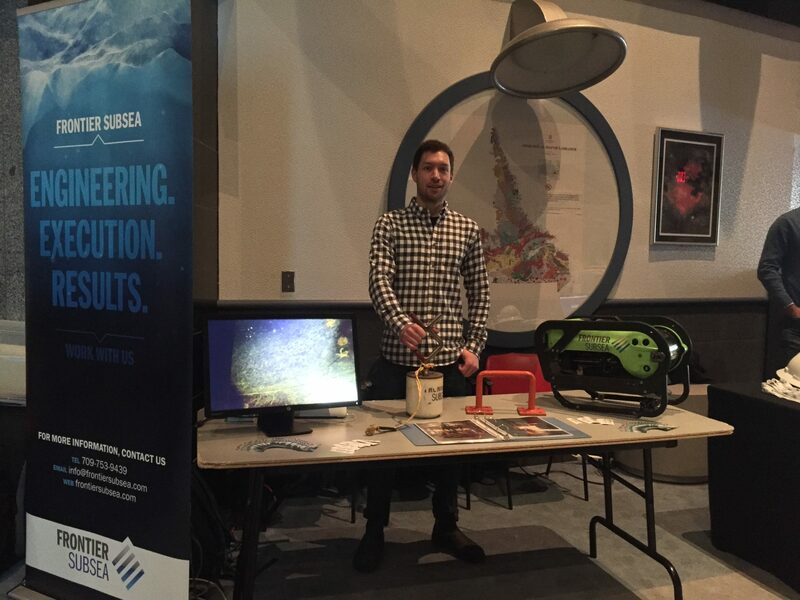 Frontier Subsea Inc. is proud to display our interactive booth at this year’s Bridge Building Competition, in support of National Engineering and Geoscience Month. Please come by today, Mar 4 to see our booth, as well as booths from other great companies.